Every time I hear about yet another programme of privatisation I feel like asking: how can assets be converted into a form of property that does not exist in Russia? For that matter things are not so clear with state property either. Let’s start with that. The concept of state owned property is to a large extent a judicial fiction. Especially when it is called public property, or ‘the people’s’ property, as it was known in Socialist times. After all, what is property but the right of control and disposal? To discover who owns something, we need to ask who has that right. The radical critic of the State, American economist Murray Rothbard, had no illusions on this account. ‘With any form of government ‘, he wrote, ‘the real property owners are those who head that government.’ And he went on, ‘State property means simply that the owner of the property is the government’s administrative machine. How this property is used is at the disposal of the heads of this machine, who are therefore the owners’. It could be argued that these definitions are not universally applicable. Take Norway, for example. But let’s not go into that. We are talking about Russia, and Russia is undoubtedly under autocratic rule. According to the Freedom House classification, it has belonged to the Not Free category since 2005. Autocracy is a black box. Russian autocracy, even more so. Who, for example, actually takes decisions about the export price of ‘Gazprom’ gas? It is clear to many Russians that it is not the Gazprom head, Alexei Miller. Who decides who gets the biggest credit facilities from ‘Sberbank’, and at what interest rate? Clearly not the bank’s head, German Gref. And it is equally clear that the circle of people who actually have control over property is a very small one. In reality, the term ‘state property’ can be understood as the undifferentiated and informal property of a handful of the country’s rulers. Russian economists noted this phenomenon some time ago and christened it ‘power-property’. The collective-personal property of the bureaucratic top dogs. In that case, you might ask, would privatisation not mean the conversion of this informal private property into the legally formalised possession of specific individuals? In fact this is not the case. The problem is that the privatisation of the 90s did not create private property. The state owned oil company Rosneft recently concluded an agreement on strategic cooperation with Exxon Mobil. But could Vagit Alekperov, owner of the private oil company Lukoil, have done something similar (after consultation with his major shareholders) without also obtaining the agreement of Russia’s top politicians? Only a very naïve person would imagine that this would be possible in Russia. It fact ‘government people’ own invisible gold shares in many companies, and not only large ones like Lukoil. The point being made here was that it would make no difference whether the factory was ostensibly owned by the government or by some Mr Schmidt. After all, we own Mr Schmidt himself, so we own the factory anyway. Who owns ‘Mr Schmidt’ (or Mr Petrov, if you prefer) in Russia? You could say, the Party. By which I do not mean ‘United Russia’. No, it is the party of the bureaucracy, and in the first place the group within it that is the most close-knit and that enjoys the legal right to use violence – the so-called ‘strongmen’ [siloviki]. This group includes not only the police and the FSB, but the officials of the public prosecutor’s office and the judges. Very often the tax authorities and other government departments also form part of this alliance. This government mafia has only one aim – extortion. This takes a number of forms, but in all cases businesses either pay regular protection money or go bust and so lose their property. This is then often taken over by close affiliates of the strongmen, and seized in a raid. The government strongmen also frequently act in conjunction with their private counterparts - criminal gangs. The mechanism for squeezing the owners of businesses is simple: a criminal charge is brought against them. A research study at The Institute for the Rule of Law of St Petersburg’s European University showed that in 2007, of 84,665 charges brought in connection with financial offences, only 35,987 were investigated, of those only 12,364 were brought to court and only 8,890 ended in a conviction. Such a huge discrepancy is very unusual for other kinds of offence. And it is even more strange given that such a small proportion of convictions is not only not encouraged, but shows up the work of the relevant agencies in a negative light, with corresponding consequences for their financial reward. These findings are backed up by a poll conducted by the On Line Business Journal. To the question, ‘Do you consider that the Russian legal framework and legal practice give your business complete protection from government attack?’ 44.7% of businessmen answered, ‘does not protect in the least’, and 23.7% claimed that, ‘it only helps them rob us of our businesses’. Russian business today is running away not just to London, but to Kazakhstan and China. It is surprising there is anyone left. One Russian magnate (one of those incorrectly known as oligarchs) once called Russia ‘a hunting field’. In other words, this is a country where you can make enormous profits (especially if you are close to the centres of power), but where the risks are also high. You make a packet – you get it out of the country quick. To somewhere where property is not subject to political risk, and where the owner of a business is a free operator, and not the powerless object of bureaucratic exploitation, or even its victim. The large number of entrepreneurs behind bars on trumped-up charges in Russia is of serious concern even to those business associations that are embedded in Putin’s vertical of power. Rosneft is Russia’s largest oil company, which grabbed the assets of Mikhail Khodorkovsky’s Yukos in a textbook example of how property rights in present day Russia are totally ignored. Proof that the authorities always have the last word. The roots of this situation lie in the organisational model of the power vertical as it has developed in the Putin era. The monopolistic entrenchment in power of the ruling clique demands the absolute loyalty of the ‘strongmen’, and that in its turn requires some kind of quid pro quo. The solution was found not in rewarding them with high official salaries, but in unofficially letting them loose on business. Since then the first, ‘noble’, estate has been actively squeezing the third. What does this mean for property rights? You could say that they simply do not exist, in spite of all the legal flummery Russia signed up to when it copied other countries’ statute books. In practice, the country is run on ‘shadow law’ that provides no guarantees for any length of time. Everyone (including not just business people, but the bureaucrats themselves) lives for the day, while salting away their takings – earned or otherwise – in overseas tax shelters. Let us agree with the great 20th century thinker. And reach our own conclusion. 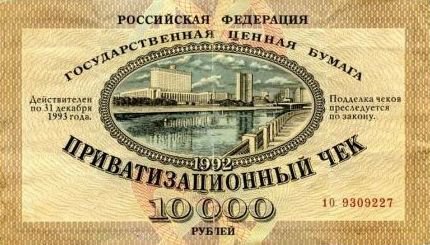 Russia cannot aspire to material (or any other type of) prosperity, since it lacks the necessary prerequisite for civilisation. The ‘hunting field’ has barbarity in abundance.